The Honda Jazz is a practical, economical and fun supermini designed with urban driving in mind. A range of handy safety features and an impressive amount of storage space ensure that the vehicle can quickly adapt to any situation. The exterior of the Honda Jazz combines style with practicality. Aesthetics features such as the Shark Fin antenna and body-coloured door handles help to emphasise the sense of fun that is a huge part of Honda’s charm. Dusk-sensing lights and rain-sensing windscreen wipers mean that the car can quickly adapt to sudden changes in light or visibility. The halogen headlights and LED daytime running lights help to ensure that the car is visible to other drivers, even in adverse weather conditions. The interior of the Honda Jazz is designed with comfort and ease of use in mind. The Electric Windows can be raised or lowered with a single press and the wing mirrors can be electronically adjusted from within the vehicle. The Jazz has extensive storage space, with a boot equivalent to a much larger vehicle. The car also comes with Honda’s Magic Seats, which fold upwards to create handy additional storage space. The 1.3 litre engine can accelerate from 0-60mph in around 11 seconds, with a respectable top speed of 118mph. The vehicle is in its element nipping through city streets, with smooth, responsive steering and good body control. The Honda Jazz is an extremely economical vehicle, with an impressive 55.4mpg and emitting 120g of CO2 per km. The car is also fitted with Idle Stop as standard, a system which turns off the engine when the vehicle is idling to save fuel. A wide range of safety features come as standard with the Honda Jazz, including front and rear airbags and whiplash-lessening front headrests. For drivers with young children there is ISOFIX child seat mounting, and a front passenger airbag cut-off switch. 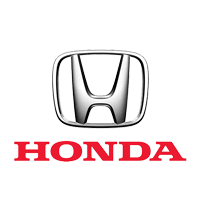 The vehicle comes fitted with Honda’s City Brake Active System as standard, which can detect obstacles and automatically apply the brakes to prevent a collision. The audio system of the vehicle includes a DAB digital radio, CD player and iPod-compatible USB port. There is also a Bluetooth TM hands-free telephone for making phone calls safely while driving. To book a test drive or speak to one of our dedicated staff members give us a call at Gatwick Honda & Redhill Honda or use our live chat.